Greece is considered part of Southern Europe, yet is regarded as a Western European nation. Athens is the largest city within, and Rhodes, which includes the Rodos Casino, is the most popular vacation destination Greece has to offer. The Rodos Casino features both Texas Hold’em and Omaha Hold’em Poker. We’ll get more into that further into this article. Greece is a relatively small country with a population of about 10.5 million, and did not become a member of the European Union until 1999. Is Poker legal in Greece? Some would say that the legality of poker depends on who you ask. The country does have laws that say that both landbased and online poekr could be considered illegal. The EU disagrees though, and took a stand against the Greek laws. As far as legal land-based poker in Greece goes, there are legal games offered within Greek Casinos. Online poker however is a whole other can of worms. In 2012 we saw big names like William Hill leave the poker market. In early 2012 there was talk that Greece was considernig the legalization of online poker with stipulations that poker sites would be issued licenses to operate legally within the Greek market so long as they agreed to pay backdated tax on their Greek related revenue for the previous 5 years. Then toward the end of November, the country backpeddled, moving back toward an anti-online-poker stance. However, the EU law contradicts the local laws on gambling, and the EU’s position is that the Greek law isn’t legal. There’s more about this further down in this article. FullTiltPoker.EU is regulated by the Government of Malta and has migrated old Greek poker player accounts as well as the accounts of Finish poker players, and Germans to the new site. Social media gaming is able to provide the Greek public with poker gaming software that complies with Greek Gambling Commission laws. AbZorba, a company based in Athens, Greece, has released the “Hub of Fun” software package. As of December 24, 2012, the poker and gambling app reached one million downloads. “Hub of Fun” operates as a mobile casino gambling product for iPhone, Android and iOS users that features Poker among its free-to-play live multi-player games. The mobile app offers social features that engage players and their friends, encouraging further playing and socializing. Hub of Fun features free live Omaha and Texas Hold’em Poker games in one app that duplicates a real casino. Extras allow you to chat with other players or even send them cocktails. 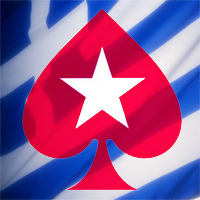 Greek Poker players can download “Hub of Fun” from Googleplay, the Apple Store and Amazon.com. For more information, check out http://www.abzorbagames.com/games. Most Greek casinos are located inside high-end hotels along the coast or on the more popular islands. The Rodos Casino on the Isle of Rhodes is found inside the Grande Albergo delle Rose hotel. They offer Texas Hold’em and Omaha Hold’em poker games. The Hyatt Regency Casino Thessaloniki, and Regency Casino Mont Parnes, with the exclusive “Regency Club,” provides stud poker. Porto Rios Hotel in Patras features the Casino Rio within which provides stud poker. Loutraki Casino, the largest casino in Greece, is located near Athens and offers stud Poker and Texas Hold’em. Some of the world’s most savvy poker players are Greek. In fact, in recent years, big winners at the World Series of Poker have been Greek players who have won over $2 million. Billy Argyros is seen frequently cashing in major poker events such as the APPT/ANZPT Melbourne in 2012. He’s also well-known for being a loud poker personality, not quite Mike Mattusow, but he gets his words in. John Bouzalas won first place in the First and Second Greek Poker Championships. Peter Vilandos, also an avid player in the World Series of Poker, has won over $3 million since 2012. 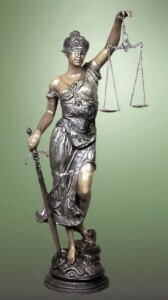 In late January 2013, the European Union Court of Justice ruled that Greek law was enabling a Greek monopoly on gambling in the country, and it was, therefore, illegal. One of the reasons that online poker and Internet gambling are forbidden in Greece is to keep gambling revenue within the country. Greece has been struggling economically. European Union laws may allow the monopoly if Greece can make a case that the monopoly serves the public interest. Open competition is generally considered to be in the best interests of the public. In order to preserve the ruling, Greece must meet the requirements of the European Union Court which call for more controls and greater consumer protection. If Greece fails to implement the new controls, betting companies like William Hill, Stanleybet and Sporting bet are hoping to break OPAP’s hold. The court ruling was aimed primarily at OPAP, making the legalization of online poker and Internet gambling sites a future contention. Late in 2012, Betfair removed its Greek online betting website, which offered online poker, due to stricter Greek gambling laws. 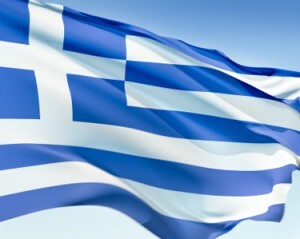 The Greek Gambling Commission ruled that all online gambling companies must have a permit or incur substantial fines and criminal sanctions beginning in 2013. Betfair’s economic losses from its withdrawal from the Greek market are expected to be over 12 million Euros. Greece is not alone in introducing heavy taxes on foreign gambling entities. Germany also hit Betfair with big sports event stakes tax in July 2012. Champion of remote gambling and poker gaming, the Remote Gambling Association, took aggressive legal action against the new Greek online gambling laws at both Greek and European Union levels.